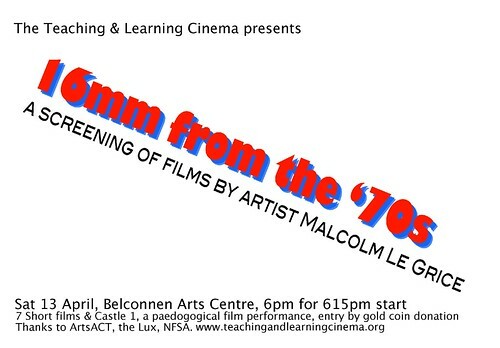 The Teaching and Learning Cinema presents ’16mm from the ’70s’, a screening of films by artist Malcolm Le Grice at Belconnen Arts Centre, 13 April, 6pm. On Saturday 13 April, 7 artworks on 16mm film by Malcolm Le Grice will screen at Belconnen Arts Centre. 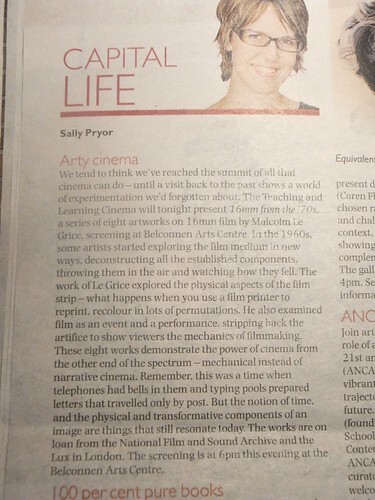 The works are on loan from the National Film and Sound Archive and the Lux in London. 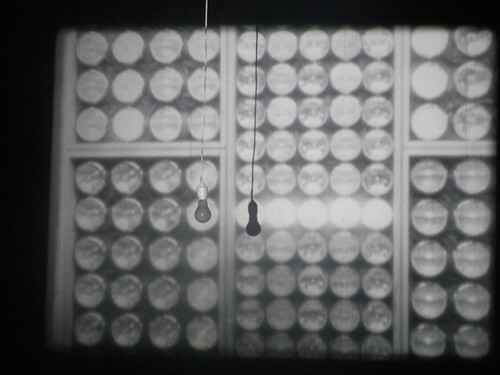 In the 1960s, some artists started experimenting with film. 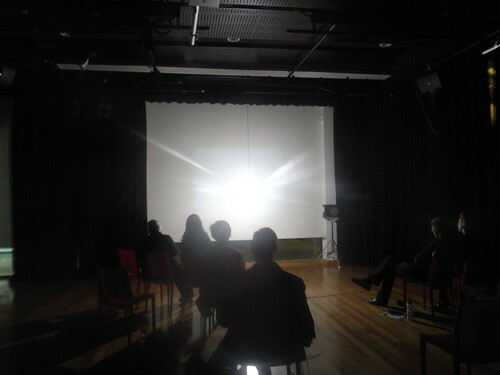 They explored the medium in new ways, thinking about what happened if you threw the pieces of cinema in the air – the projector, the screen, the room, the audience – and reorganised them. 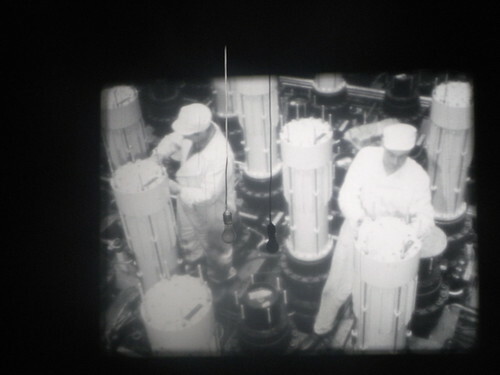 Malcolm’s work explored the physical aspects of the film strip – what happens when you use a film printer to reprint, recolour in lots of permutations. 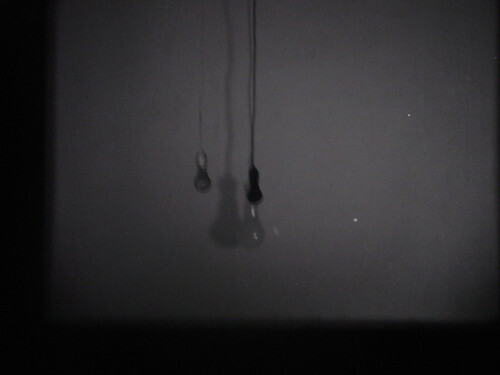 What happens when you think of film as an event and a performance – when the attention of the audience is drawn to the time it actually took for the film to be exposed to light – a very slow cinema. 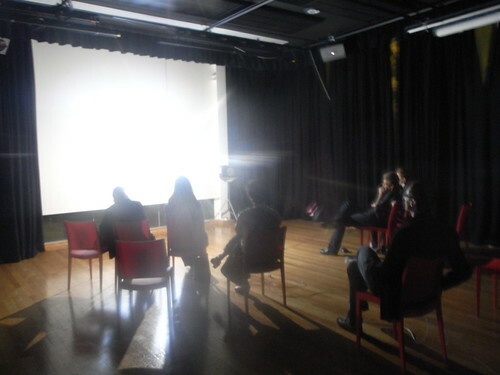 What happens when the film in the projector is just one part of the experience for the audience? The films demonstrate to us the power of cinema when it turns its back on narrative. These works come to us from a time when telephones had bells in them and typing pools prepared letters that travelled only by post. Yet these concerns of real time vs mediated time, the physical foundation to the image vs its power to transport us had a lucidity and an urgency about them that is as relevant now as it was then.